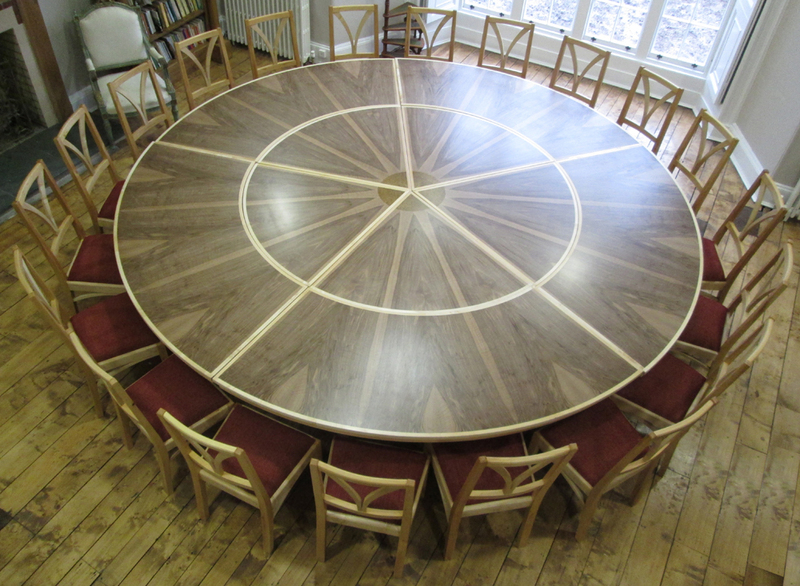 This table was commissioned by the Arvon Foundation for one of their creative writing centres. It features a starburst design with beautifully figured bookmatched walnut set around a walnut burr centre. The frame and legs are made in maple which was all grown and harvested less than five miles from my workshop. Maple is a tough timber and easily up to the rigors of heavy use and the walnut top is sealed and protected with an ultra hardwearing two part lacquer. 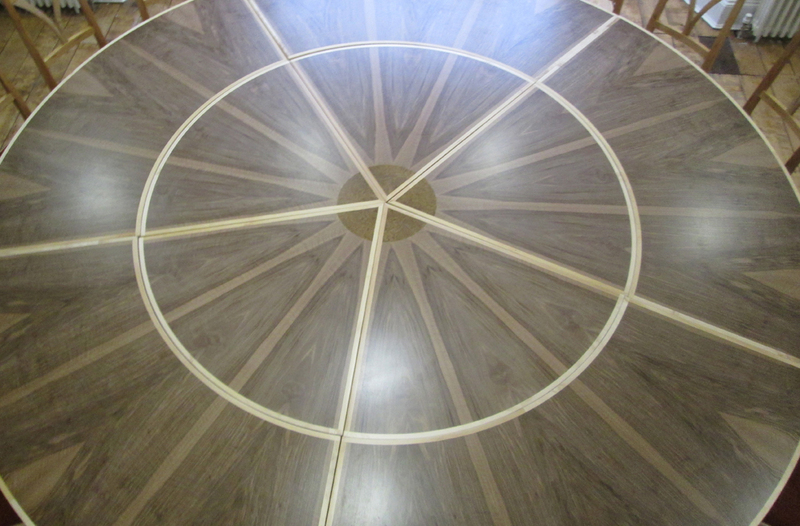 It will seat twenty people around its circumference but will also divide into a smaller inner circular table and a larger outer ring. 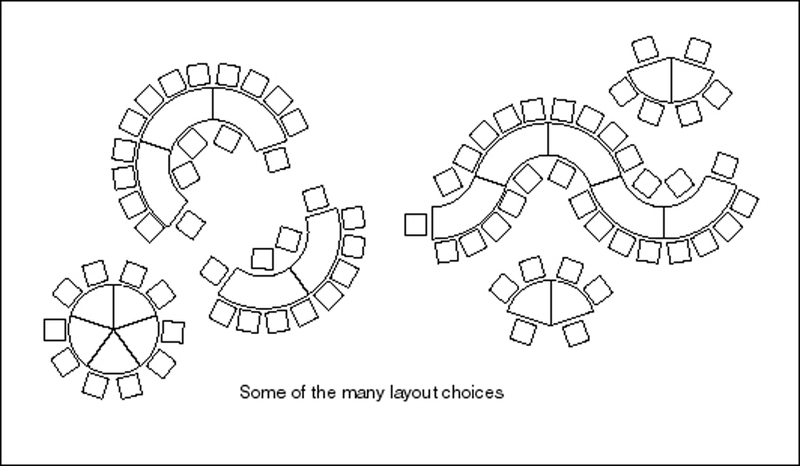 These each then divide into five segments making many layouts possible and providing seating for forty or more. 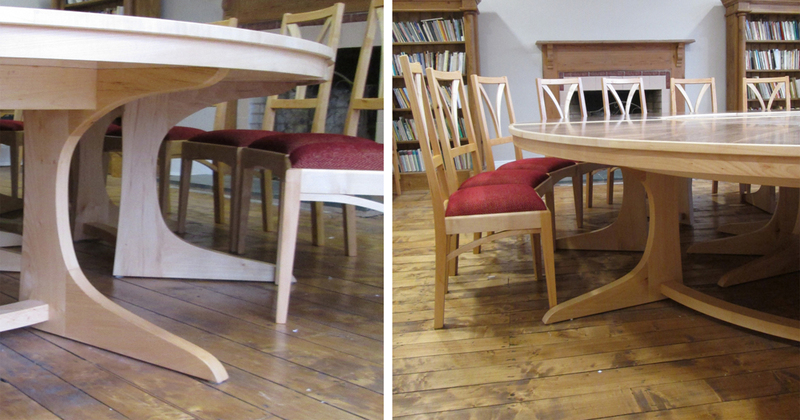 The chairs were made by Jerry Bryce-Smith and we worked together to integrate the designs of both table and chairs. 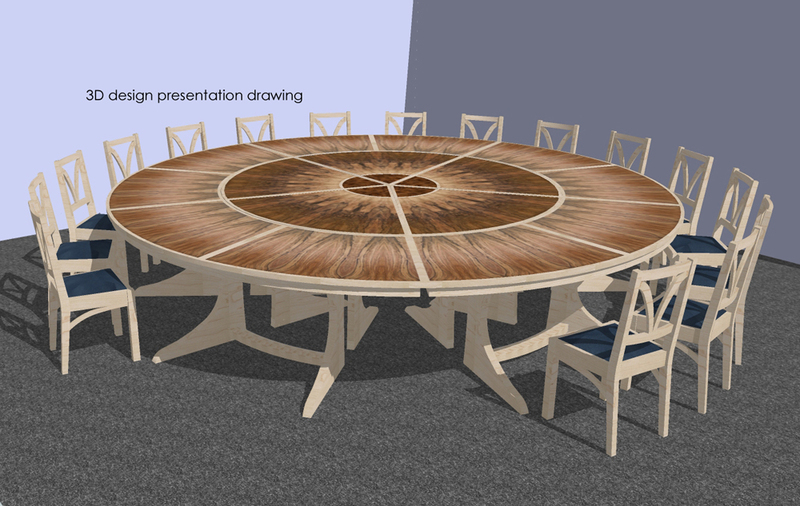 The heavily curved legs of the table reference the roots and boughs of the maple tree and also allow plenty of leg room. It was a real pleasure to be able to help create an environment where the imagination and the quest for beauty are set free.